I want to remove Social Search Toolbar from on my laptop, yesterday somehow it is installed however now it won’t to uninstall from control panel, I have tried to disable add-ons however it also won’t to go, please help me to uninstall Social Search Toolbar. Social Search Toolbar is an adware program that once installed, will too hard to get rid of this, you have to perform some manually steps to uninstall that, It is installed only from increase the traffic on that website. 6. 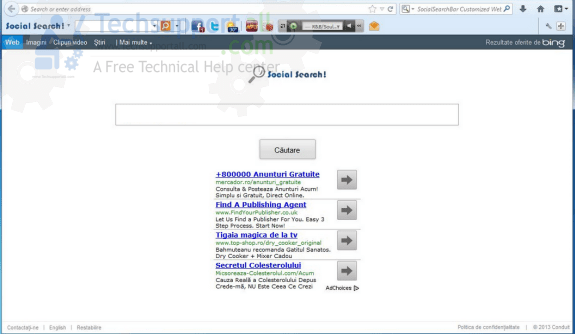 To remove Social Search Toolbar with Malwarebytes. The Social search toolbar is a malicious program, it is a very harmful application for web browsers, this type of unwanted program may be installed into your all popular web browser such as Internet Explorer, Google Chrome, Mozilla Firefox etc. The Social search toolbar is entered via free software packages without your permission, so you should pay attention, when you download a free software from internet, do not accept agreement while installation. Be very careful what you agree to install. Once it is installed into your pc, you can face lots of problems like you may be found your computer and internet speed perform very slow than usual. When you open your web browser you will find your homepage changed to Social Search Homepage and your default search engine changed to other unexpected search engine. It can change your all internet and browser settings. The Social search will display useless advertising & sponsored links in your searched result. This type of program can record your online activities and many more, so you should immediately uninstall this malicious toolbar from your computer. Otherwise your browser may be corrupted with social search toolbar. In order to remove this you have to follow article steps very carefully.